The Seattle Victory Foot—Feel the Victory! The Seattle Victory is what amputees have been asking for in a prosthetic foot. A slim, lightweight product with a sandal-toe foot shell that seamlessly transitions from comfortable walking to high-activity sports. Trulife's patented design creates best-in-class plantarflexion, while the new keel shape provides smooth rollover and lively dorsiflexion. The durable, 100% composite construction displays exceptional multiaxial response and transverse rotation without the use of bumpers. 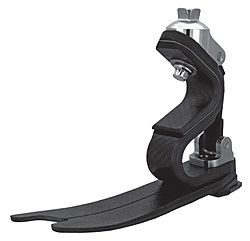 Optional toe wedges are included to fine-tune dorsiflexion resistance. 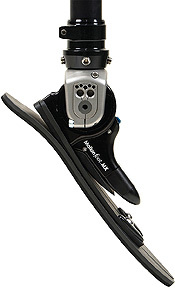 The new Victory foot from Trulife gives amputees what they want. Since its inception, Anatomical Concepts Inc. has served as a designer and manufacturer of industry-leading medical devices. 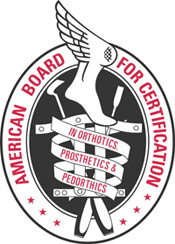 We have the clinical and technical experience to customize orthoses to fit your patient's specific needs to deliver more effective results and improve compliance. The custom-made V-VAS™ Unloader KO and V-VAS™ adult and pediatric KAFO systems are the most common devices we manufacture. We're also able to custom fabricate, modify, or refurbish our other orthoses for upper and lower limbs, utilizing many of our prefabricated ankle/foot, knee, and elbow brace designs to affordably produce any number of functional hybrid combinations. Did you know that any order submitted on the new SPS Online Store (spsco.com) will automatically receive an additional 3% discount? The discount will be reflected in the shopping cart total at check out. 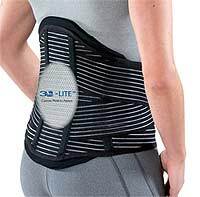 Discount valid on spsco.com only. In Pursuit of the World's Safest Knee. 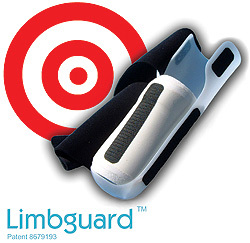 Allux is the world's first polycentric microprocessor stance-and-swing-phase controlled knee. Nabtesco, a leader in microprocessor knee technology, has once again driven innovation forward with a new design. The unique concept boasts a dual safety system based on inherent polycentric stability factors and microprocessor control. 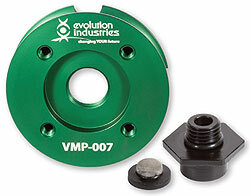 The polycentric design's greater toe clearance means less risk of stumbling; however, in case of a stumble, the microprocessor immediately increases the hydraulic resistance to prevent the knee from sudden buckling. 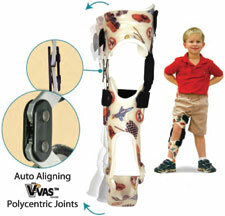 The Allux knee heightens safety and security while providing exceptional functionality to the user. 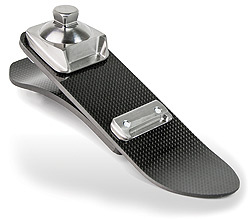 The Horizon foot brings College Park's composite expertise to a carbon fiber foot design. The Horizon is constructed with aircraft-grade titanium components that allow for additional durability and a high weight limit. 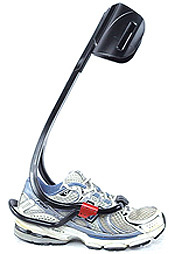 Even with an ultralow profile and ultra-lightweight design, the dynamics of the foot provide superior energy return for high-impact K3 users. The rollover Enviroshell™ design, combined with the specially engineered carbon composites, provide the perfect blend of comfort and ability for all activities. See the Horizon in action at www.youtube.com/collegeparkind. 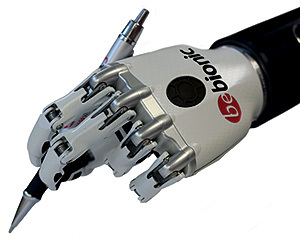 Prosthetic Design's printed sockets are designed and printed using our in-house, one-of-a-kind printer. 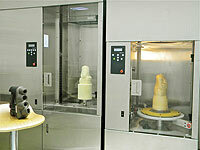 Along with prosthetic sockets, we can produce liners specific to the patient by 3D printing the individual molds. Contact us to learn more. 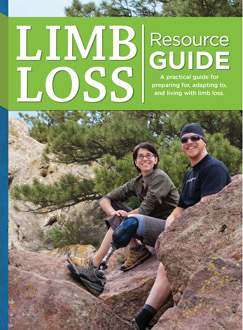 See our website for the full product line, including Limbsleeve and Limbsock. Available from all major distributors. Walk, Run, Jog, Hike…Don’t Be Limited! 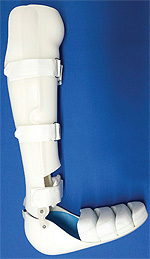 Turbomed Orthotics introduces the revolutionary FS3000 foot drop AFO. 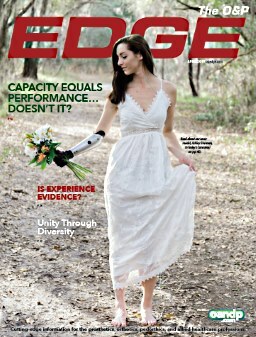 This stunning, new AFO redefines comfort and freedom. 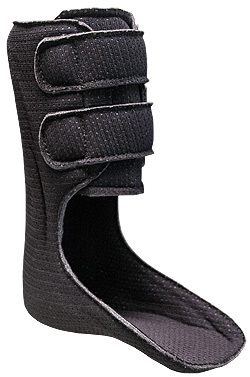 The patented design, using an outside-ofthe- shoe approach, gives new possibilities to patients with foot drop that they never thought possible. Try the FS3000 for two months, and if you are not satisfied for any reason, return it for a full refund. Fred's Legs has added another new and interesting design: Vapor. 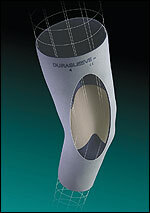 It is available as a prosthetic cover or laminating sleeve, and both are reasonably priced. Vapor is added to our collection of 100 different SleeveArt designs. 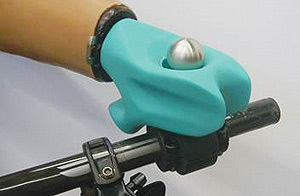 All of our laminating sleeves are made from Spandex and have four-way stretch for easy application over the mold. Standard sizes and custom sizing are available. 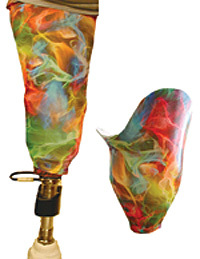 SleeveArt is your best economical choice for adding art to prostheses and orthoses.